Invisible Images or non-printing of your images and background of your document happen when your not ready your word processing for printing this document. You need to set up first your word processing after you finish your document with images and background in the document template. But before you go on in printing your document, be sure to set up first your page setup or margins, including the page border if you use it. 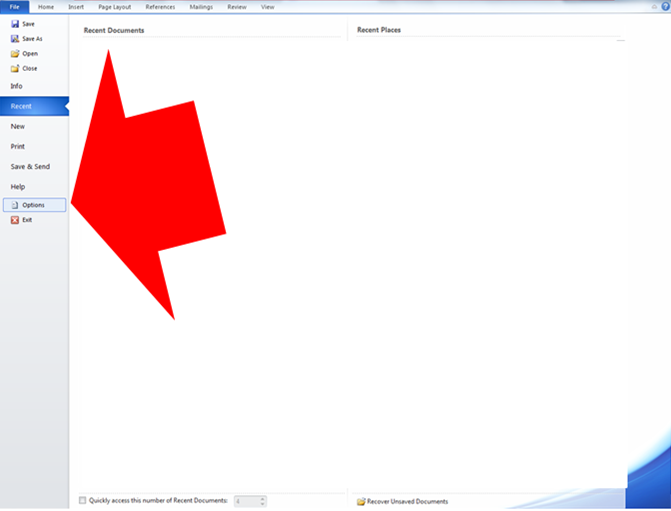 Open your Microsoft Office Word 2007 in your computer, click the icon in your desktop or click start button/all programs/ Microsoft Office/Click the Microsoft Office Word 2007. After you create your document completely, or open your save document you want to print, hold control and press p in your keyboard(CTRL + P). An active window or pop-up window for printing will display in your screen, locate the option button just below left and click on it. Another window will display in your screen, locate the printing options and tick or checkbox both called “print drawings created in word” and “print background colors and images”. Open your Microsoft Office Word 2010 in your computer, click the icon in your desktop or click start button/all programs/ Microsoft Office/Click the Microsoft Office Word 2010. 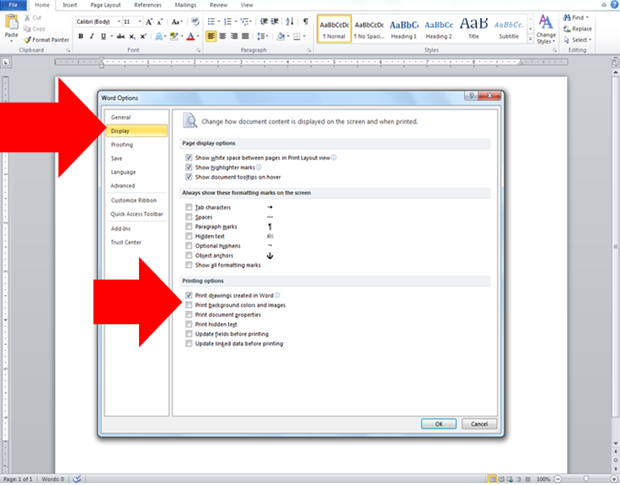 Click option located below of the drop down menu list. Another window will display called "word options". Click display in left panel. Then locate the Printing Options just below of that window and tick or checkbox both called “print drawings created in word” and “print background colors and images”. Then click ok and your done.